The mine garden, that is. The first device I spotted on my last walk through the garden - a fragmentation mine. I was somewhat shocked how many didn't spot it on this walk - to me it was obvious what it was. Or perhaps the problem was that the guys taking this walk didn't want to speak up... I hope that was what it was. This little fellow will "only" blow your foot off, but you'll survice... if you can get proper medical attention quick enough that is. As most people can imagine, a few of this in a field will be more than just a nuisance to a farmer - it'll destroy his source of income. MAG focuses on clearing land based on the need of the communities. Can you see it? 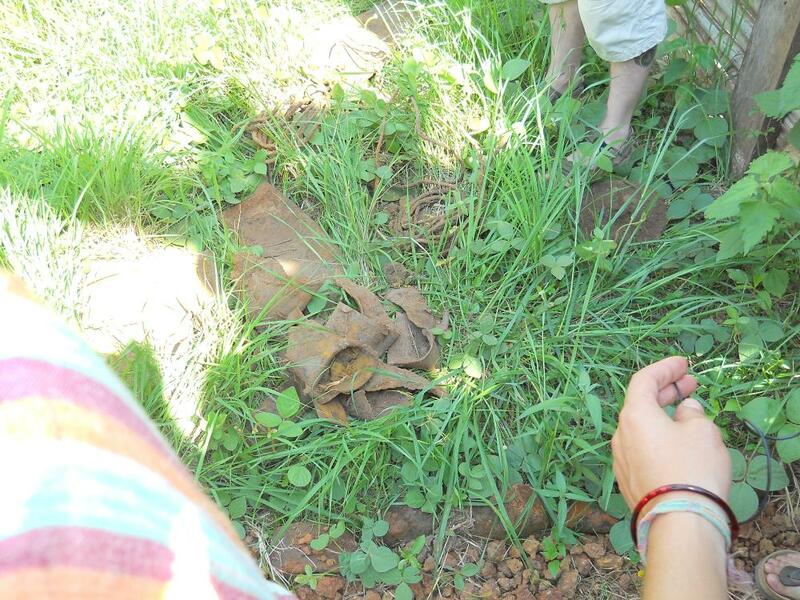 This one is a lot more visible than it would be in the wild - this Anti Personnel mine is meant to be buried under an inch or so of soil. Unlike the mine previous photo, this one will probably kill you - by blowing your legs clean of. 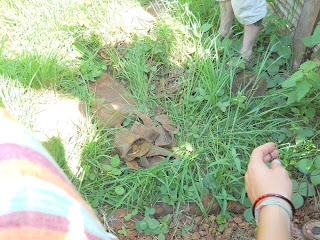 The remains of a home made bomb, probably dating from the civil war. UXOs (UneXploded Ordnance) is a major problem in South Sudan - the leftovers from several decades of war is prolific, and as deadly now as the day it was fired. Southern Sudan is one of the areas in the world most heavily affect by mines and UXOs, after years of civil war and unrest. Thankfully MAG and other deminers are working hard to reduce the risks to the populace and visitors. All is not doom and gloom in the garden though - this tree is growing in the middle, and while I have no idea what it is it does look neat. I don't want this post to give people the idea that I'm dodging death at every step down here. A bit of common sense on our part, a few basic rules and paying attention to the locals goes a long way in keeping us safe. And thanks to the tireless efforts of the deminers most roads and populated areas are as safe as they can be. The tree in the last picture is a palm. And the pretty yellow fruits on it? Those, my dear, are dates!